Ali Black read “Citizen: An American Lyric” by Claudia Rankine twice, and she now she is reading it a third time with local students. In “Citizen,” Rankine writes about racism in everyday life and what it feels like through a collection of poems. Nine area library systems and 26 schools are part of a community read of the book organized by the Center for Arts-Inspired Learning, which is in conjunction with the National Endowment for the Arts’ Big Read. 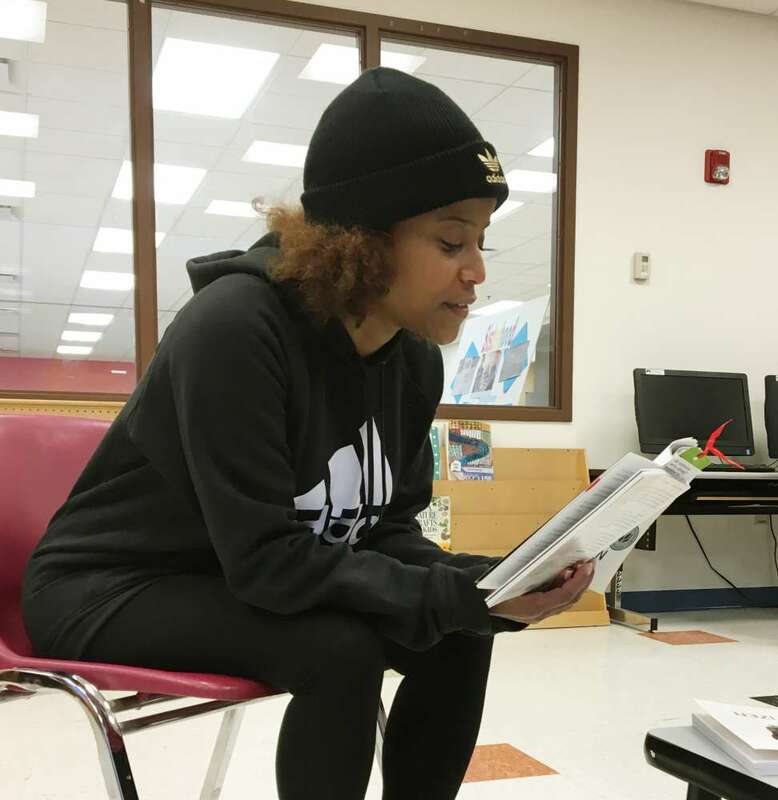 Black, a local poet, is studying the book with students at Cleveland schools as well as with the Sisterhood, a group of girls she leads at West Side Community House ranging in age from 10 to 18. On a recent weekday afternoon, Black and eight girls read and discussed “Citizen” at West Side Community House. Youth Services Director and poet Ali Black leads the Sisterhood in reading "Citizen" at West Side Community House. The girls took turns reading the poems, and every few pages Black stopped them to discuss what Rankine expressed through the poetry and consider parallel experiences from their own lives. In one instance, she asked the group what are some of the things in life they take in from others that they do not want. One student shared how she does not like it when a teacher at school rolls her eyes when she asks the teacher to explain something. Others brought up frustrations about rude comments or insults. Black encourages the girls to speak openly about their feelings both in the moment and later through writing. Jaanah Robinson and Ronnea Worley read along with the group at West Side Community House. Another 10th grade student, Jaanah Robinson, said she likes reading “Citizen” as a group and hearing about other girls' perspectives. “When reading it by yourself, you only have your point of view,” Robsinson said. Programs surrounding the community read of “Citizen” continue through March. The participating libraries include Cleveland Public, Cuyahoga County Public, East Cleveland, Euclid Public, Heights Libraries, Lakewood, Rocky River, Shaker Heights Public and Westlake Porter.